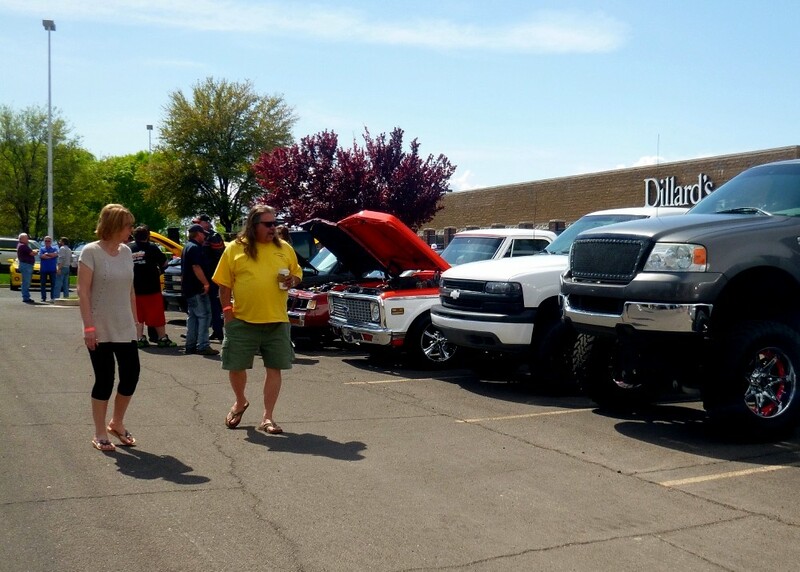 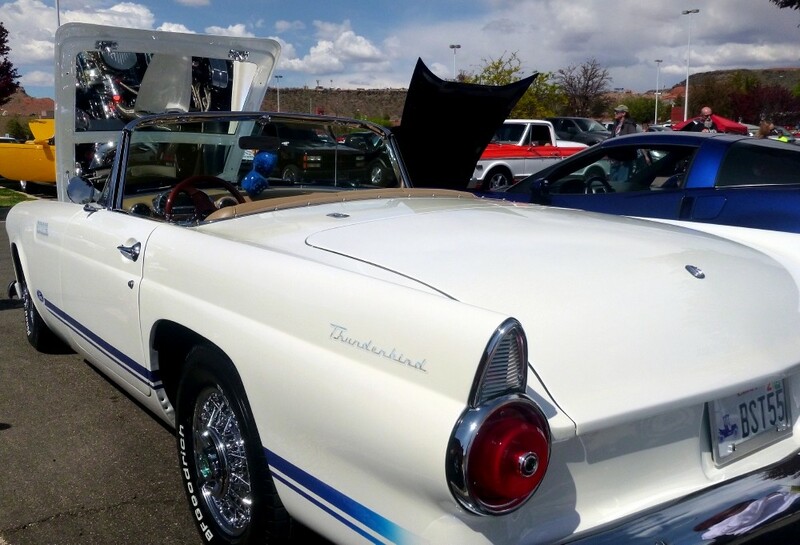 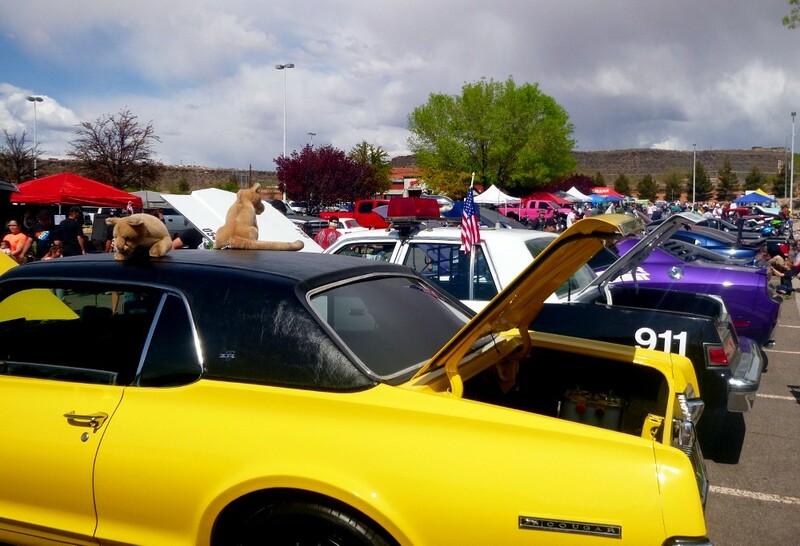 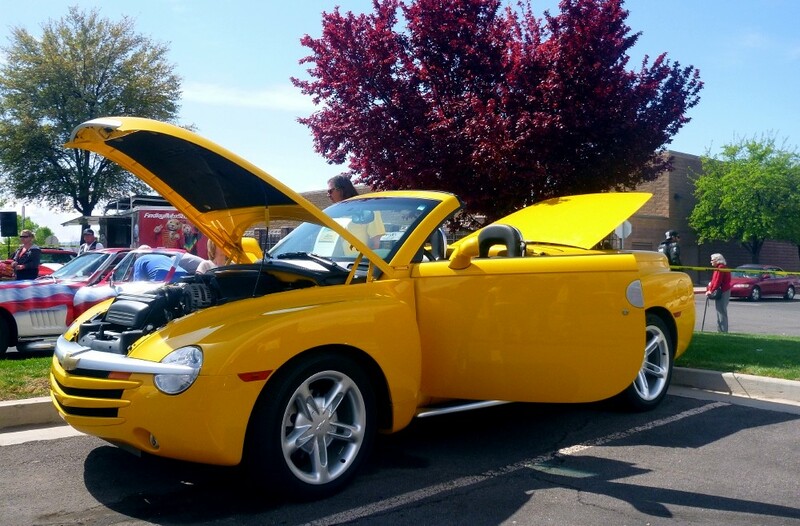 ST. GEORGE – A fundraising automotive show held Saturday in the parking lot of the Red Cliffs Mall showcased diversity in styles and vintage, with wide appeal to collectors and admirers. 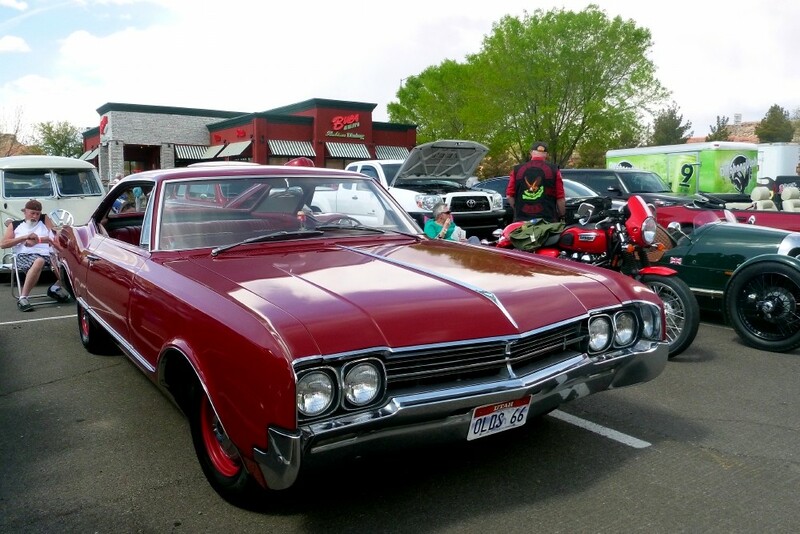 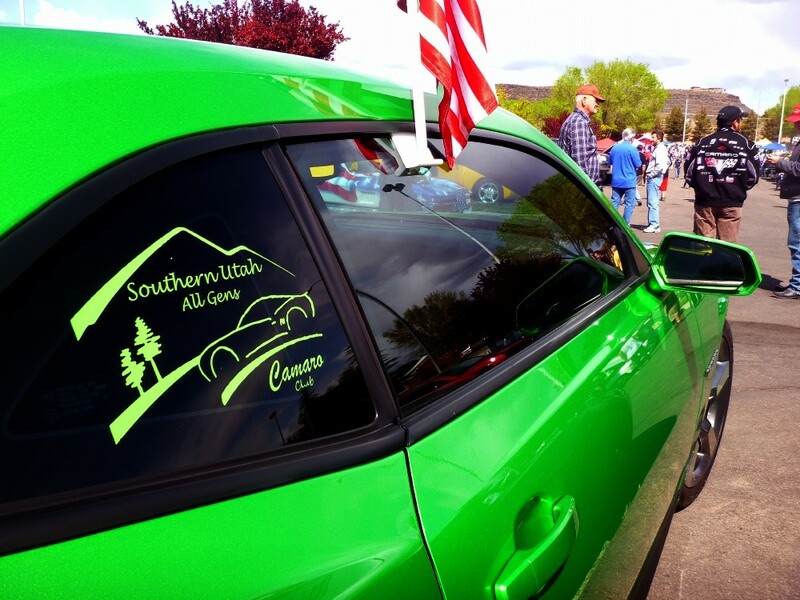 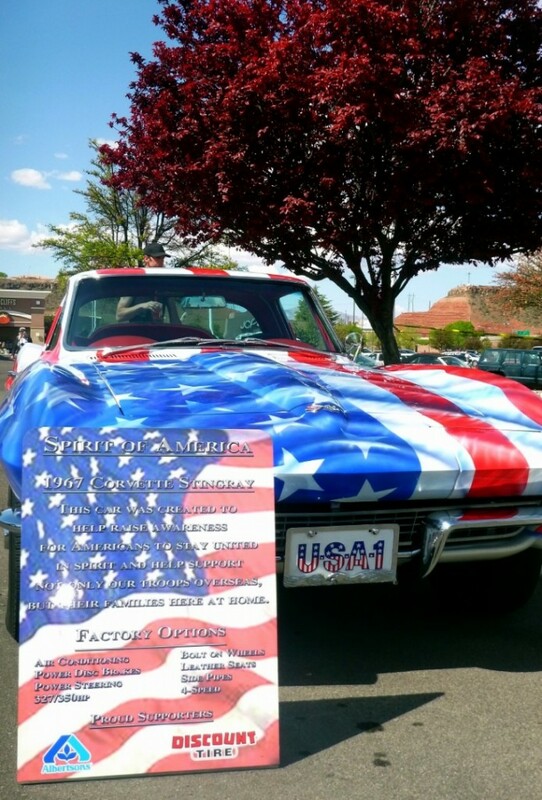 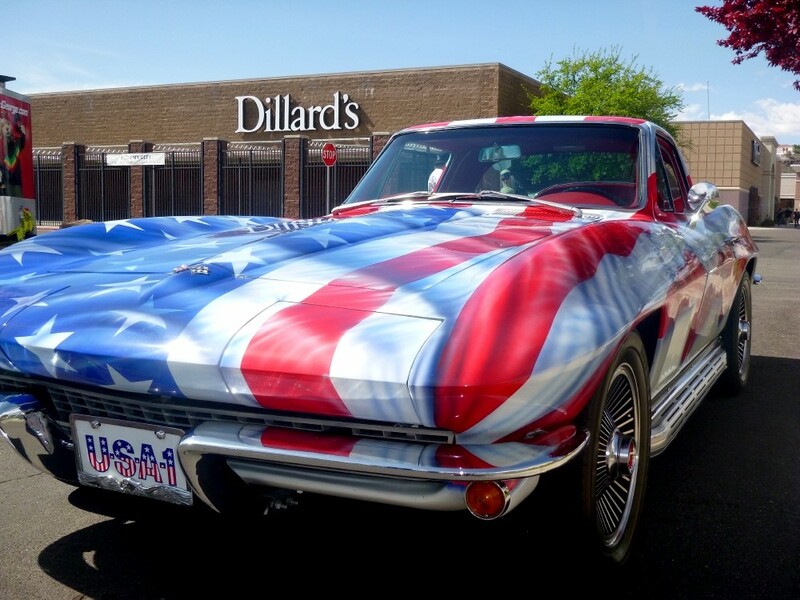 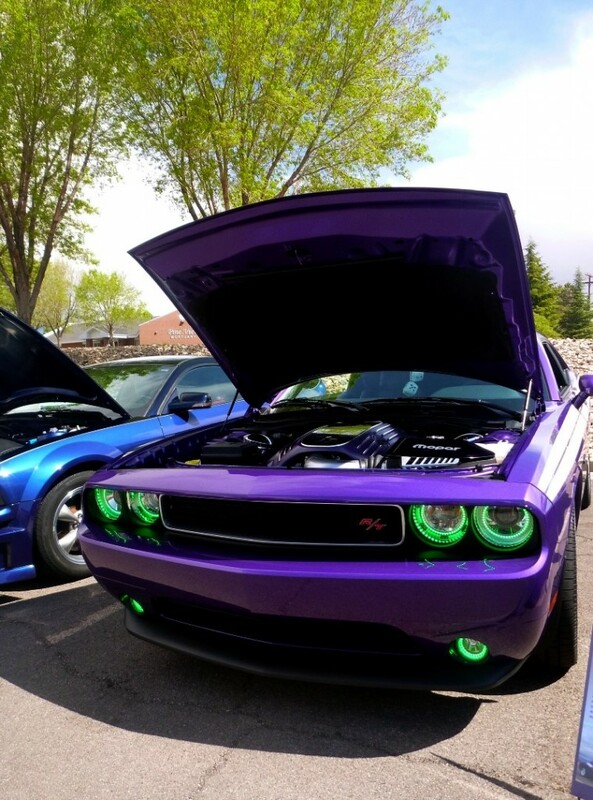 The field included custom cars, foreign imports, classic cars and motorcycles, street bikes, 4×4 diesel trucks and a collection of hot rods from the Southern Utah All Gens Camaro Club. 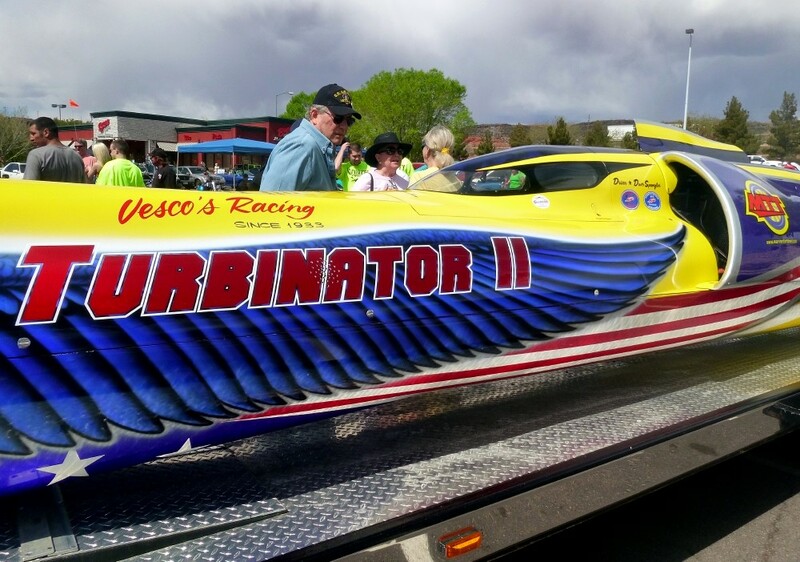 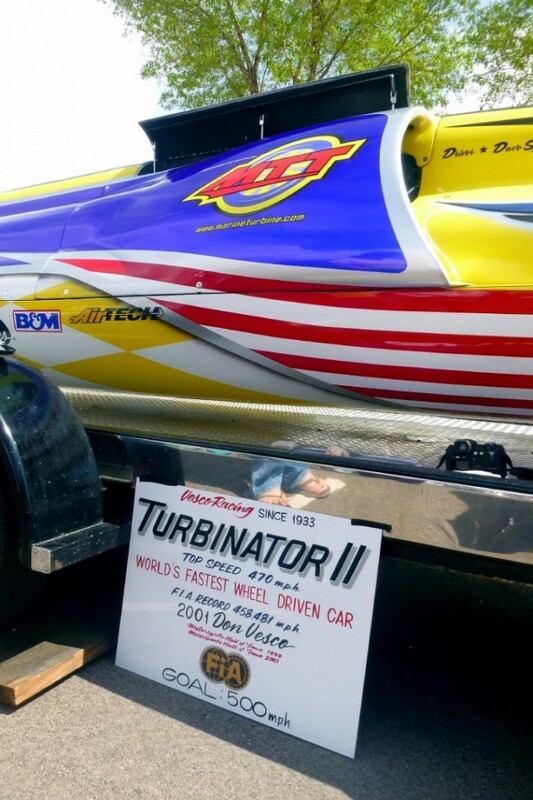 Turbinator II, the world’s fastest wheel-driven car with a record-setting top speed of 470 mph, was also on display. 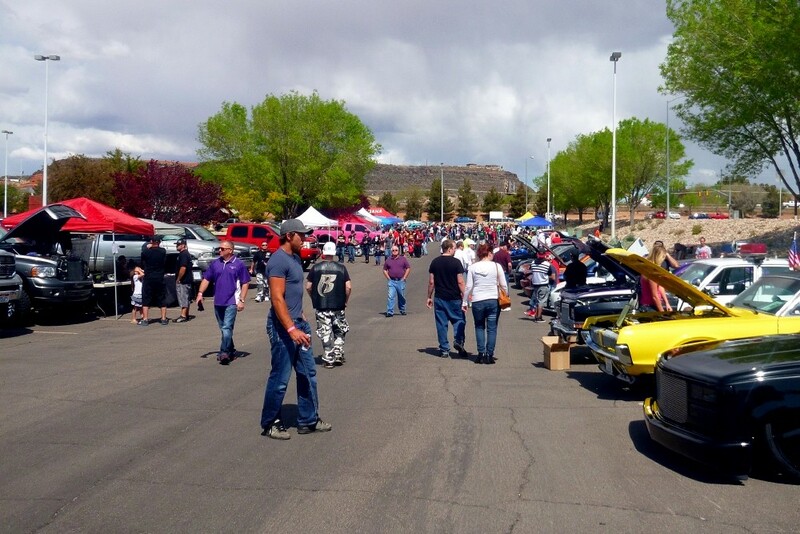 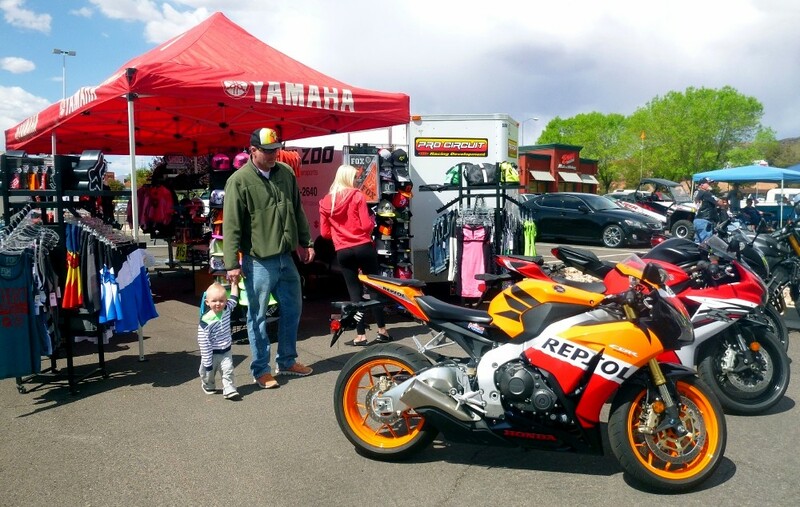 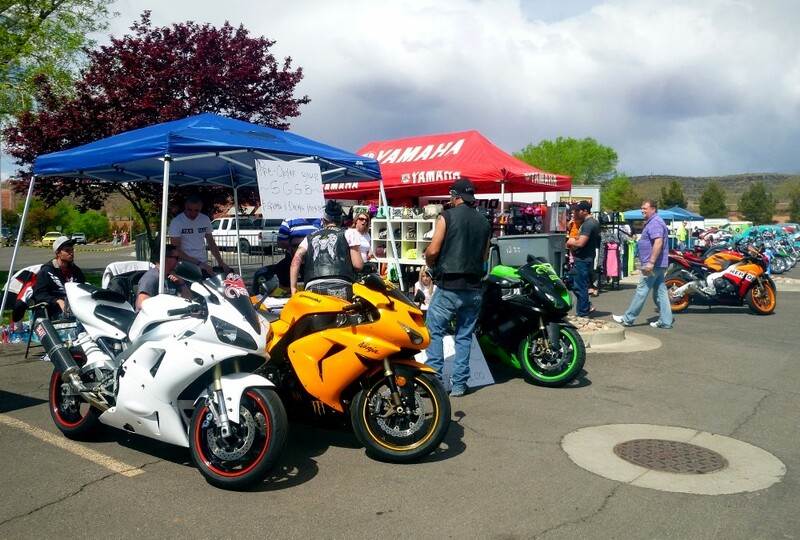 “It’s not your average car show,” event director and St. George Street Bikes founder Cache Benson said. 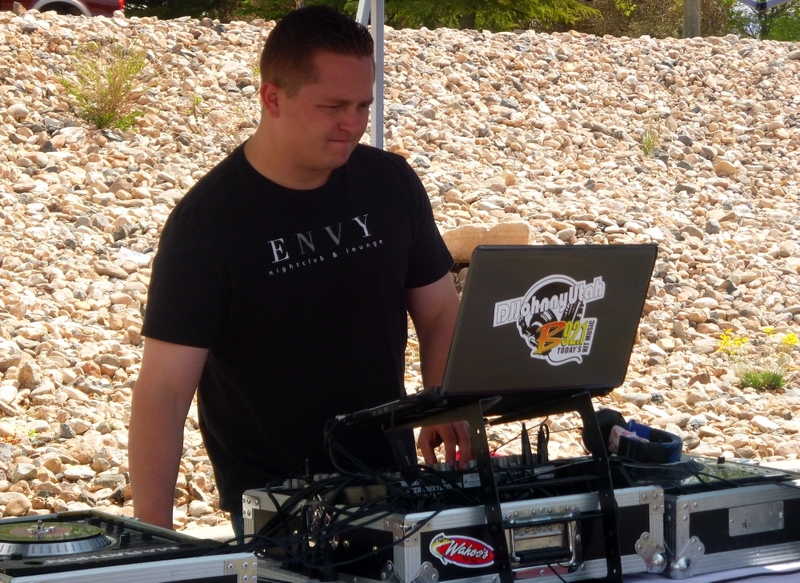 Event entertainment featured music from Disc Jockey Johnny Utah, raffle prizes and models. 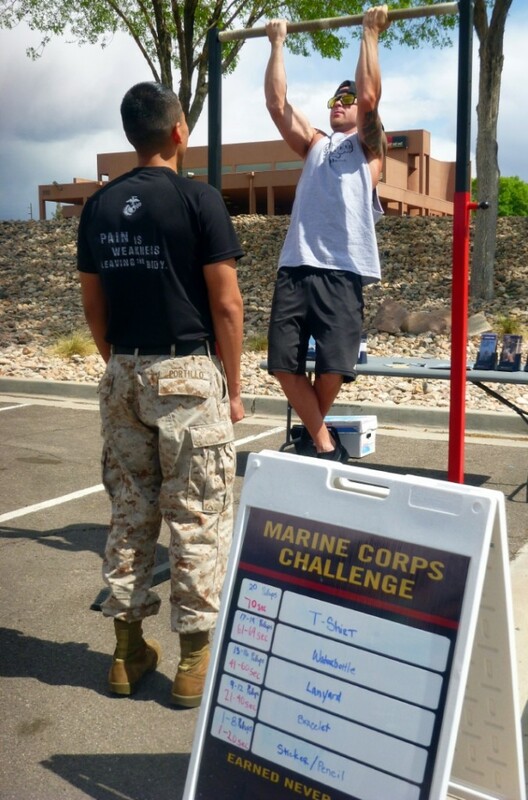 The Marines challenged members of the crowd to a pull-up contest, and vendors from local businesses offered automotive products and services. 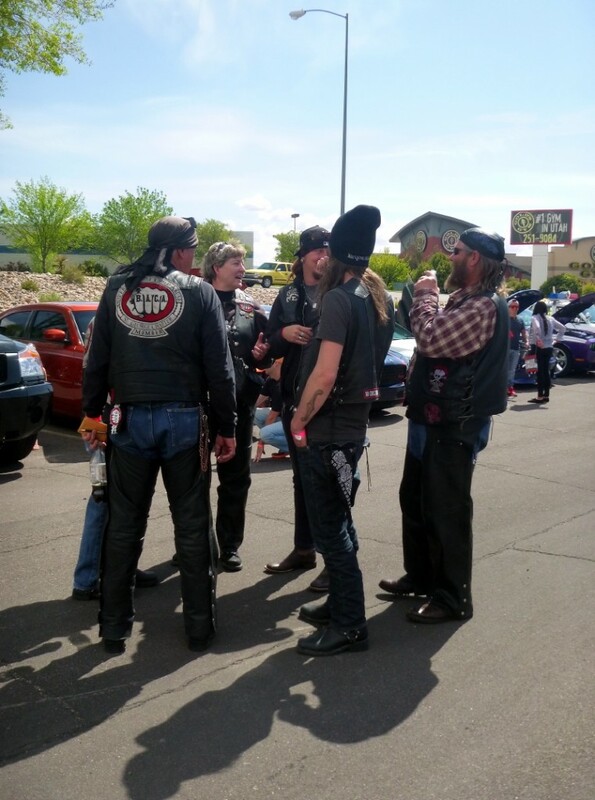 Benson said that over 400 people attended. 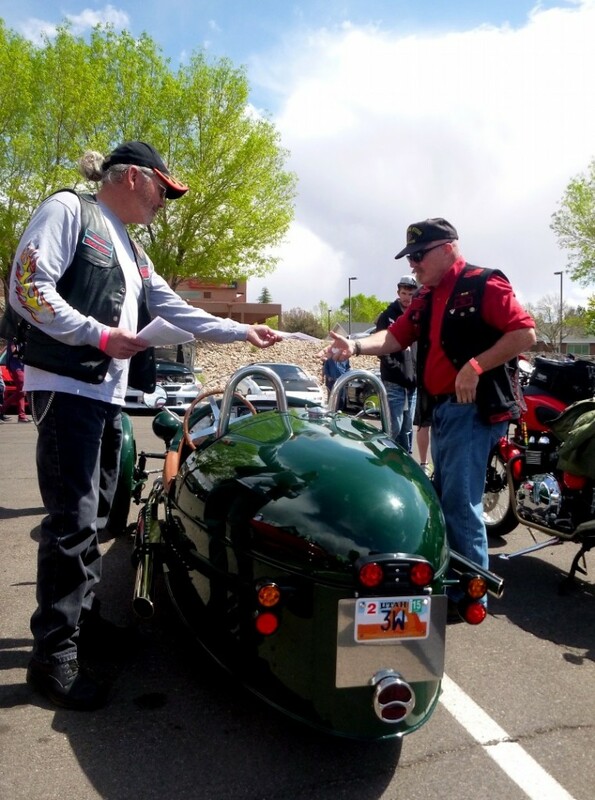 A portion of the event proceeds will be donated to the Wounded Warrior Project.